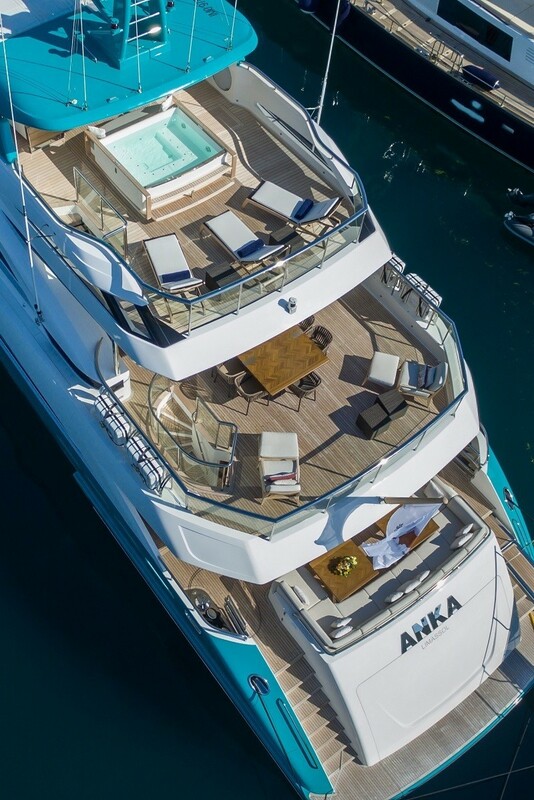 Launched in 2015, luxury motor yacht ANKA is the fifth Princess 40M semi-custom vessel, built by the well known British shipyard, Princess Yachts. 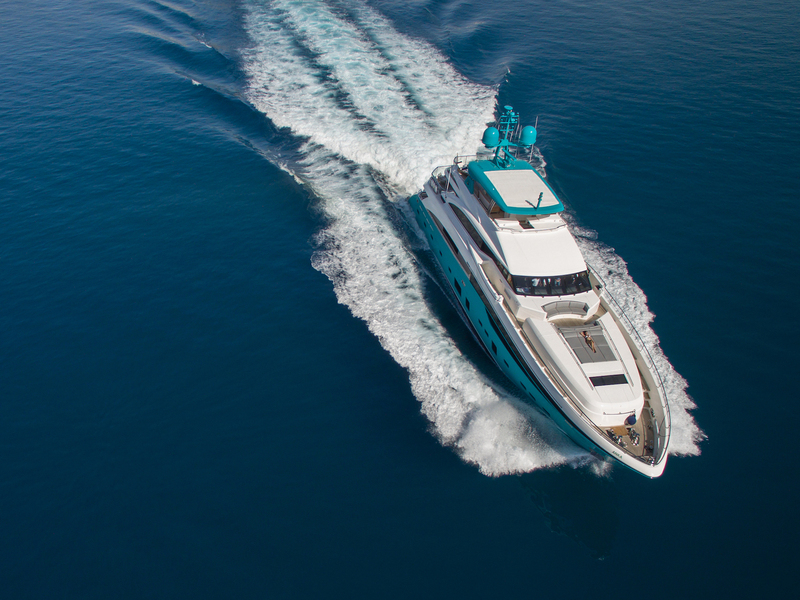 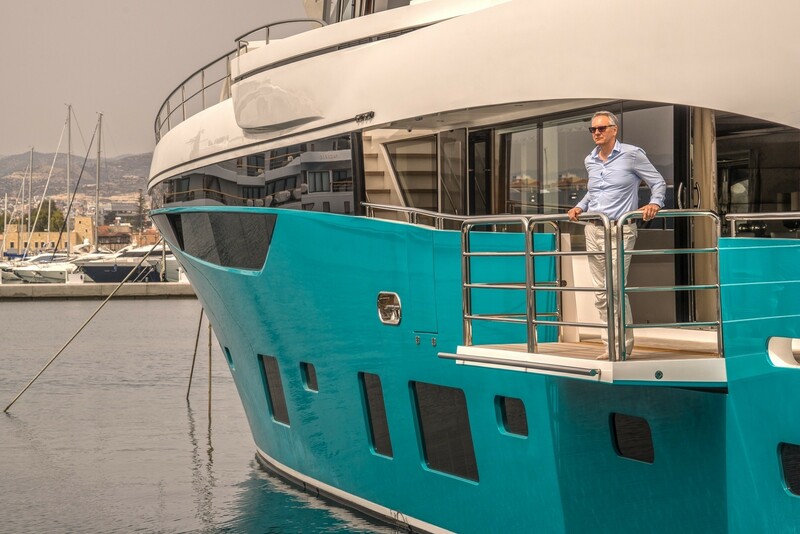 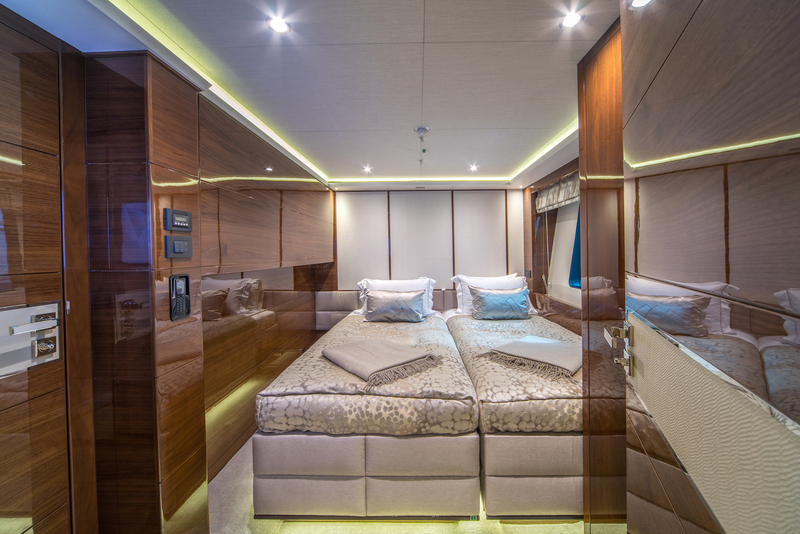 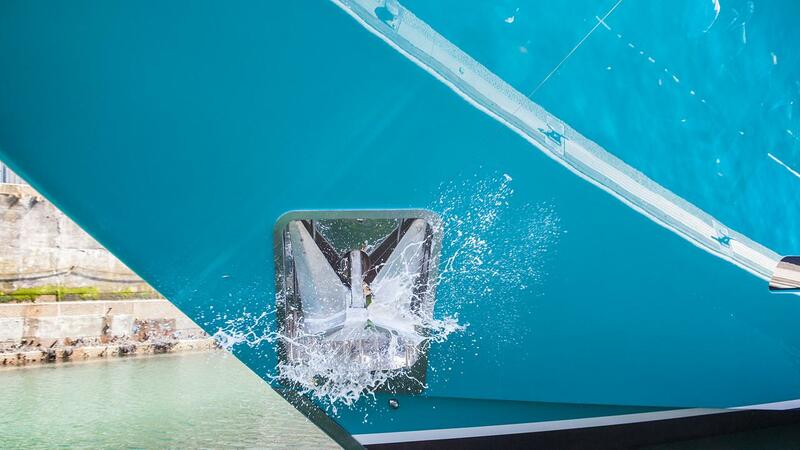 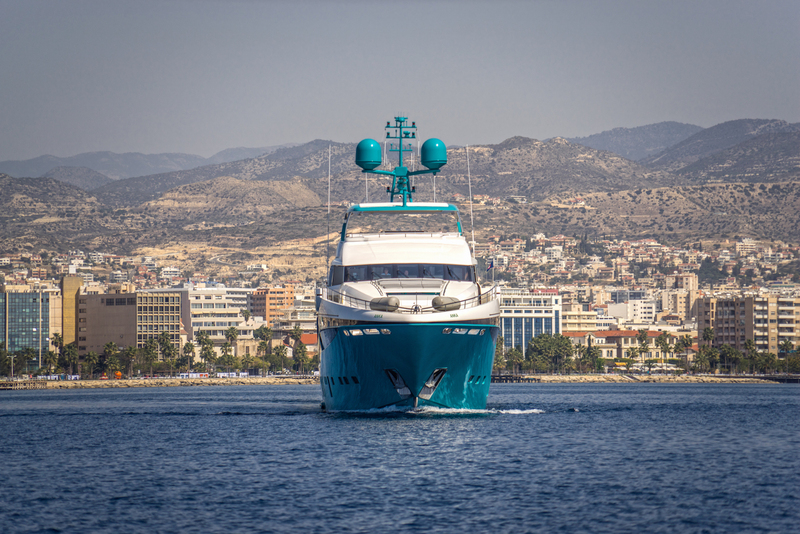 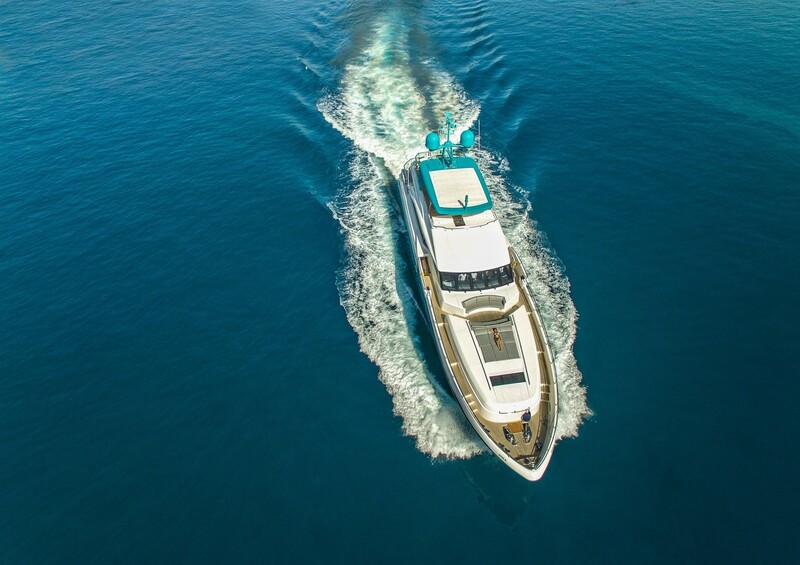 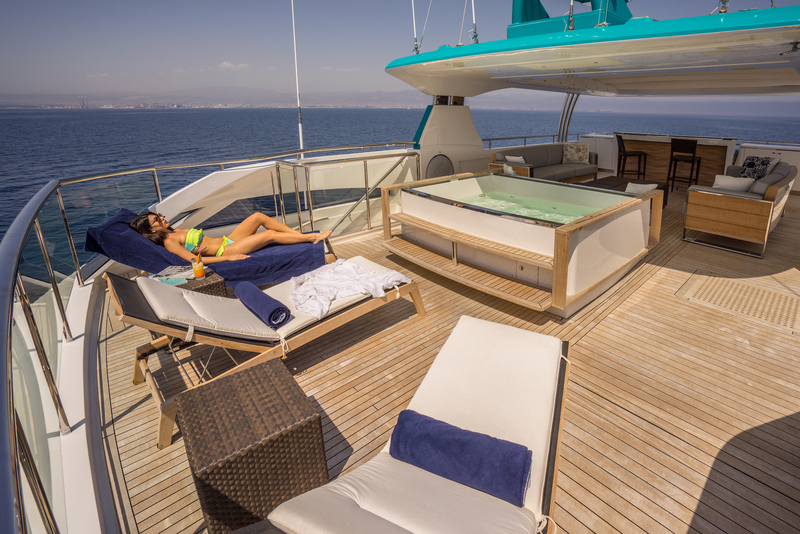 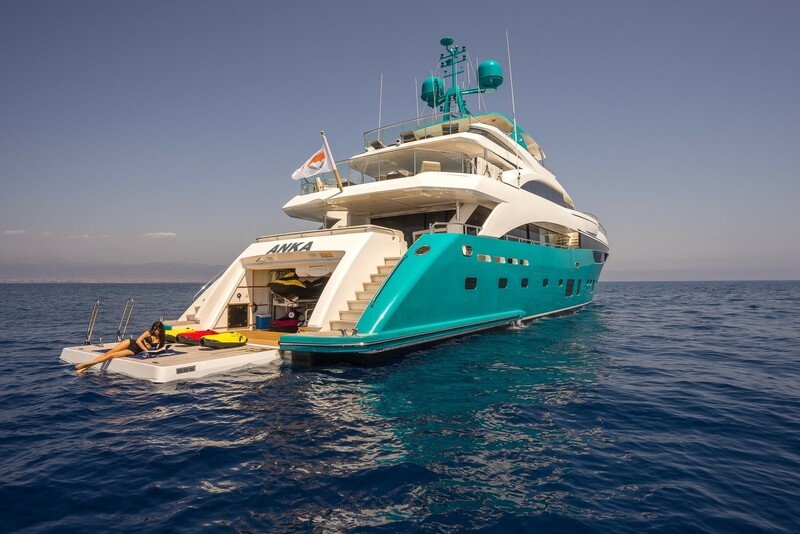 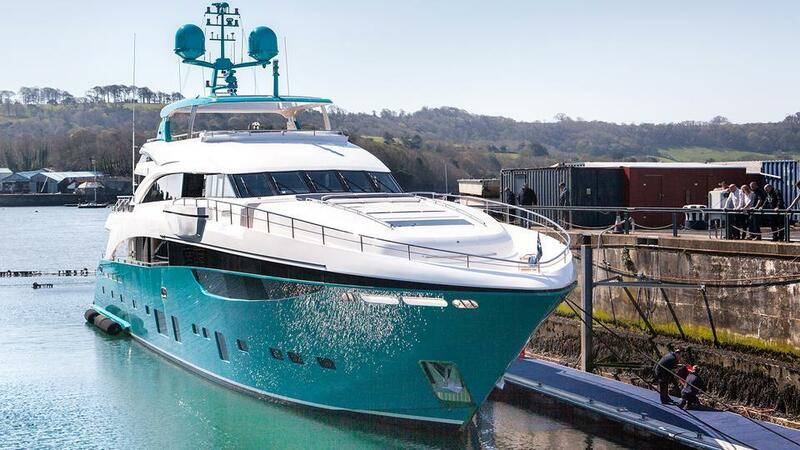 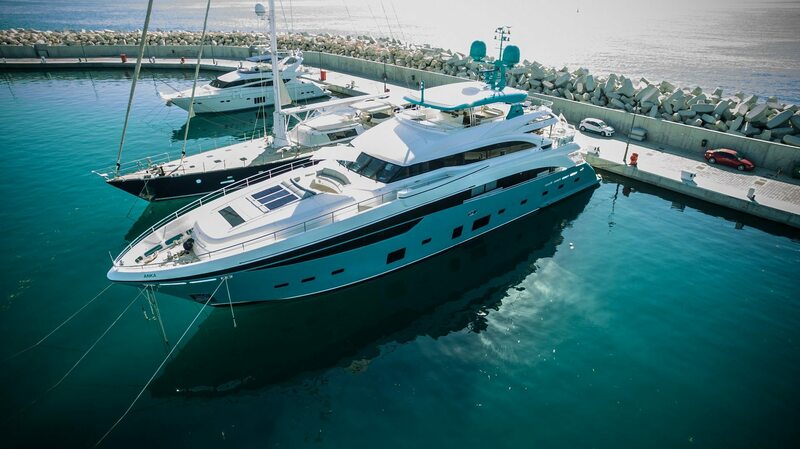 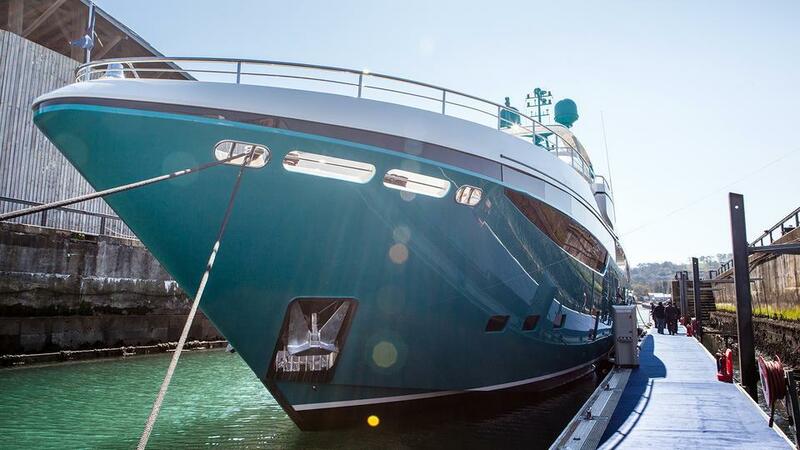 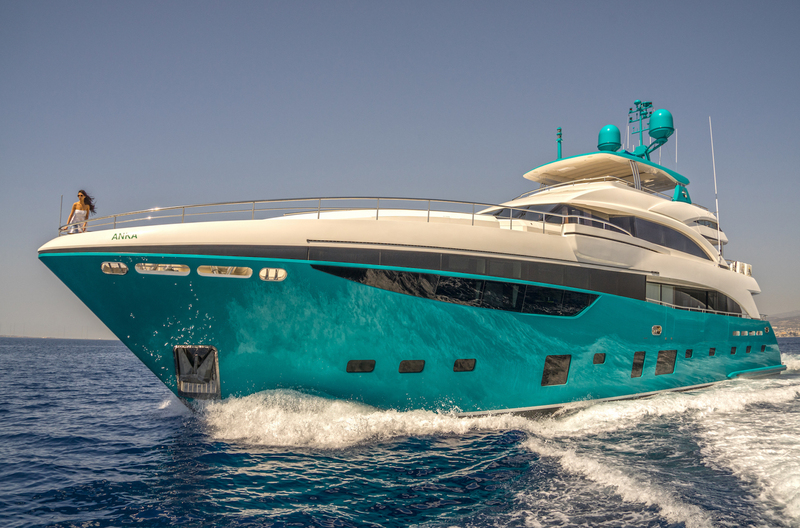 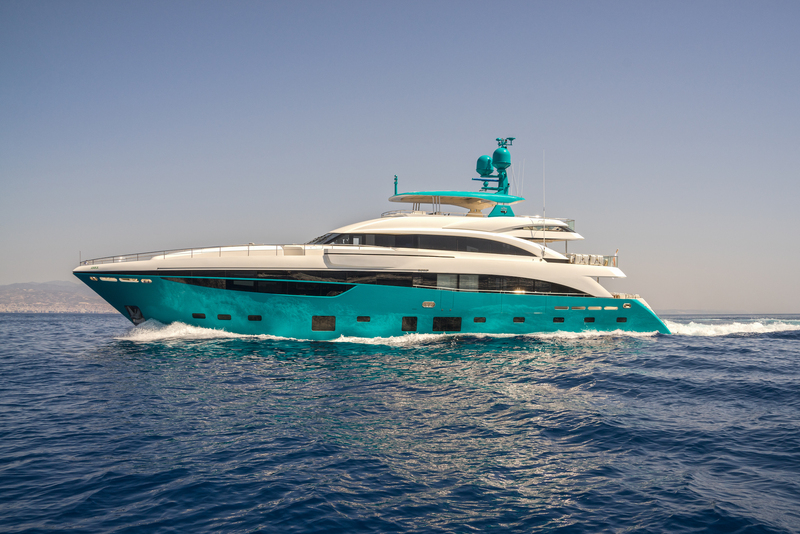 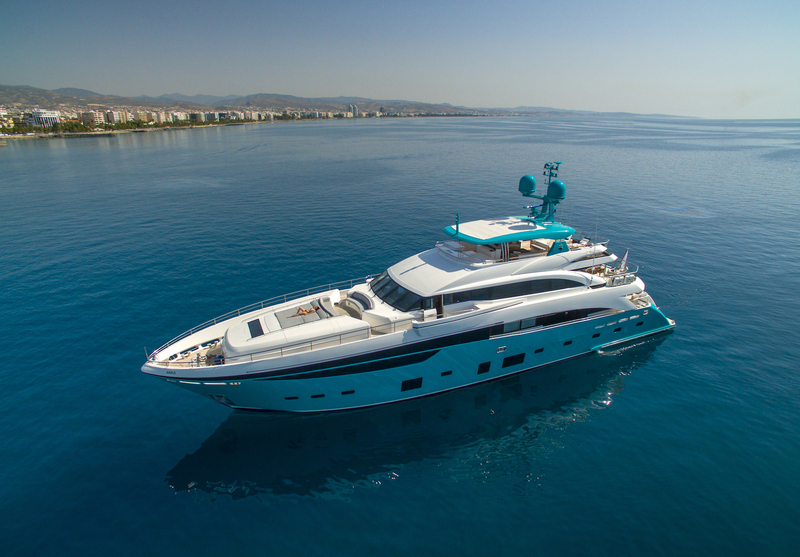 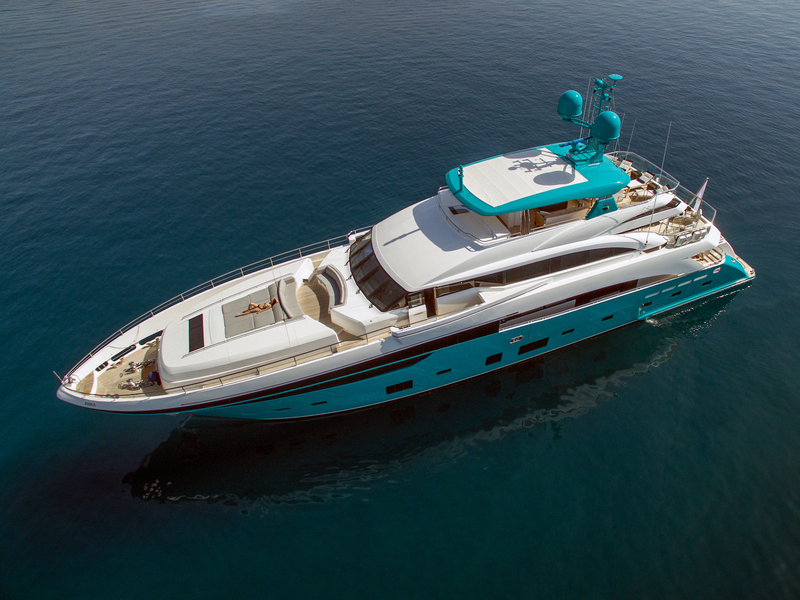 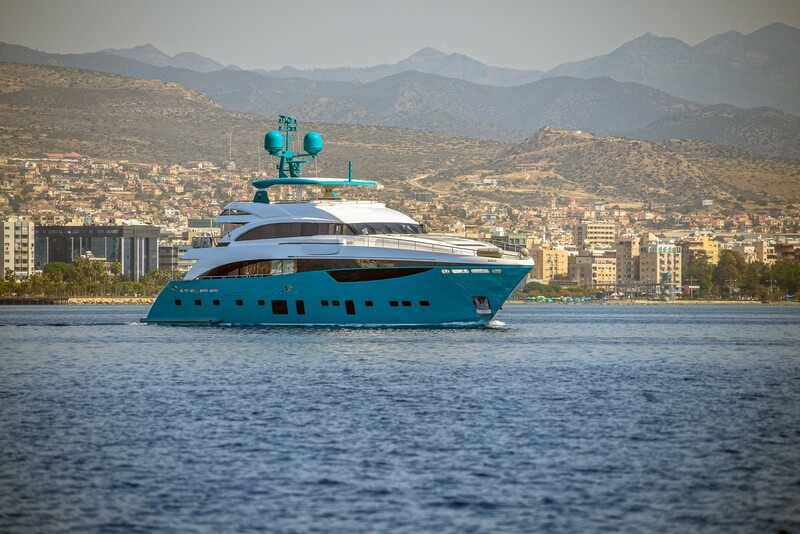 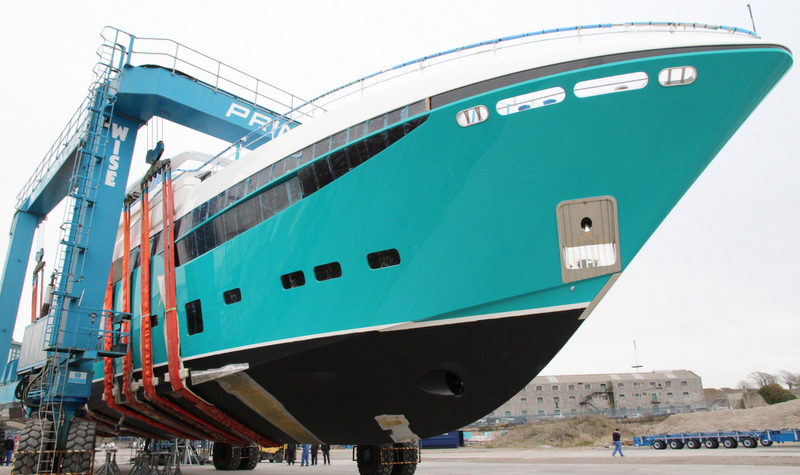 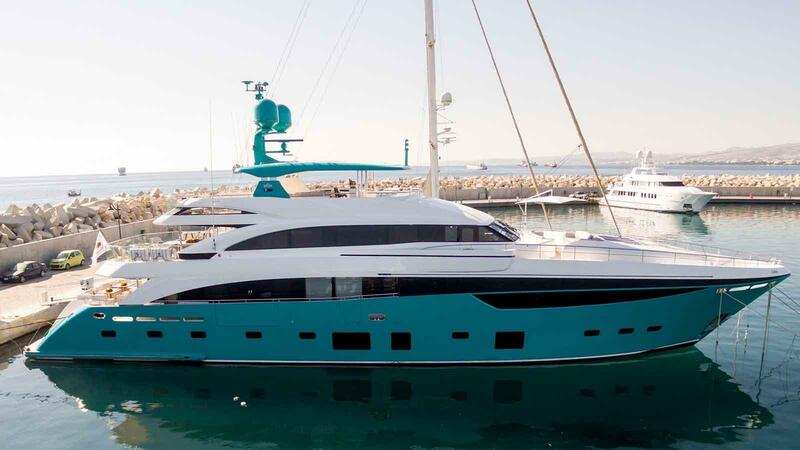 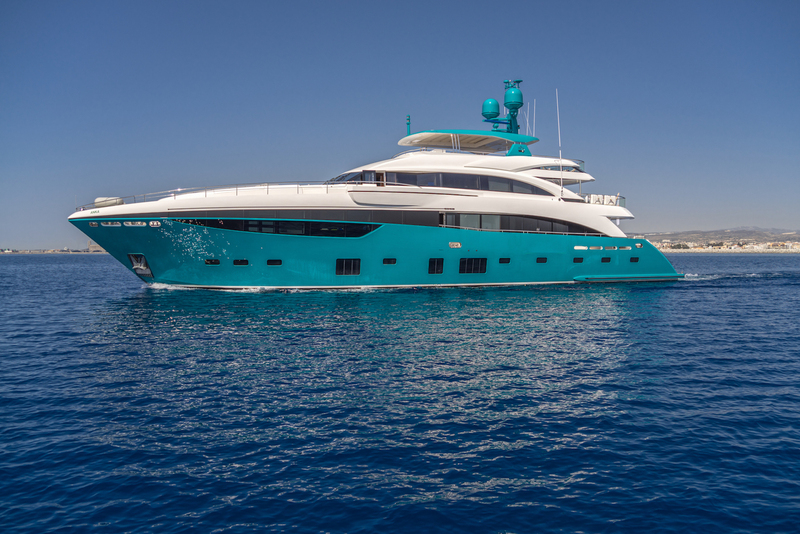 Entirely designed by the yard's in-house team, the Princess 40M Hull #5 boasts an eye-catching turquoise-coloured hull, which sets her apart from her predecessors. 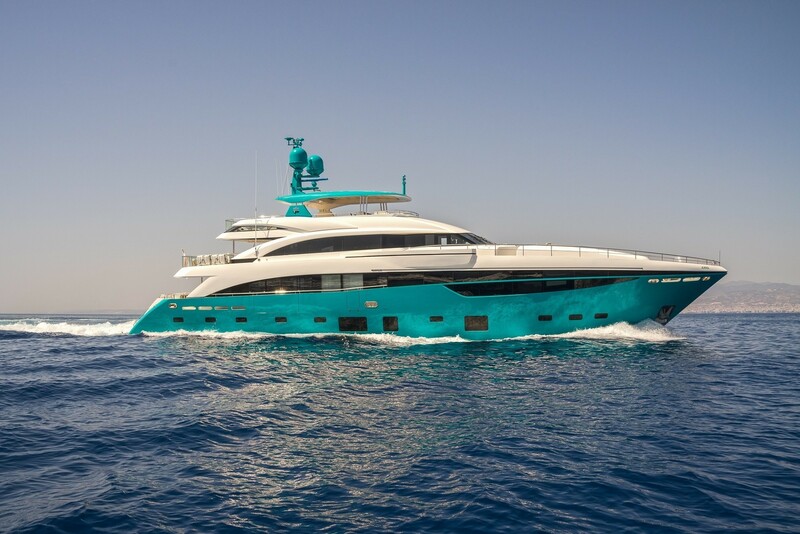 She has also won the World Superyacht Awards in her category. 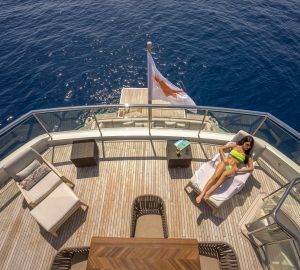 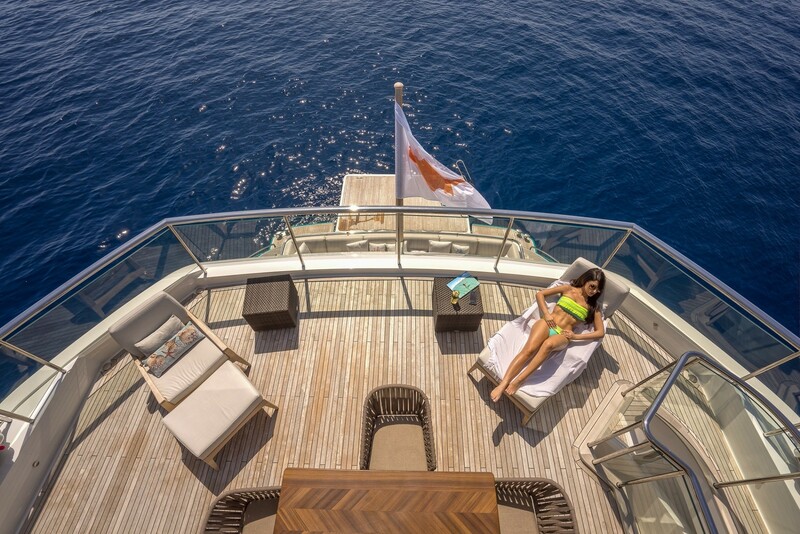 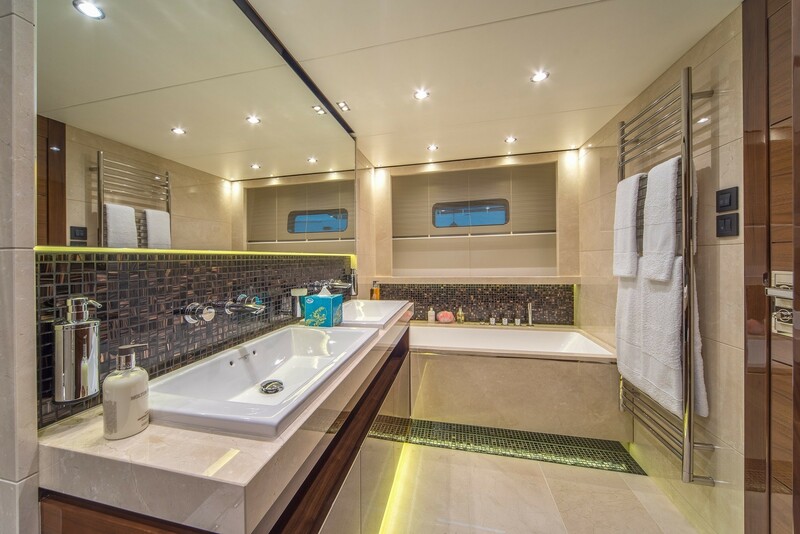 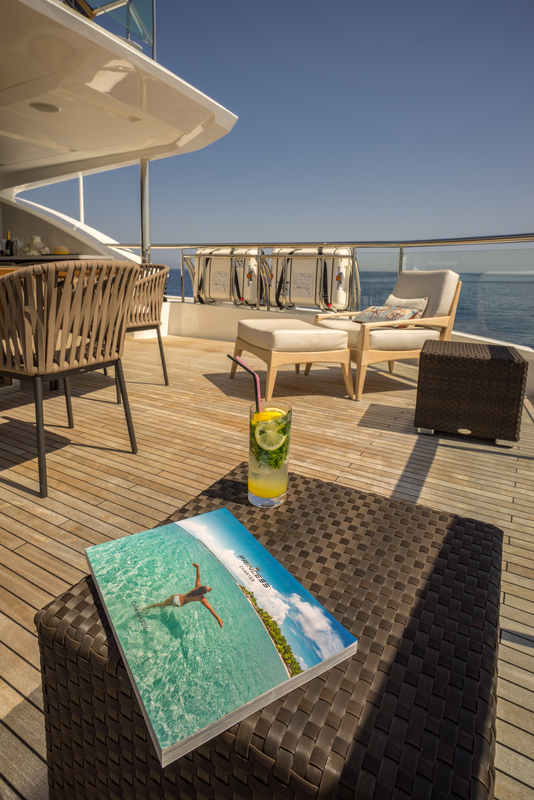 Full of natural light, the beautiful and welcoming interiors accommodate up to ten charter guests in maximum comfort, providing them with 5 magnificent staterooms. 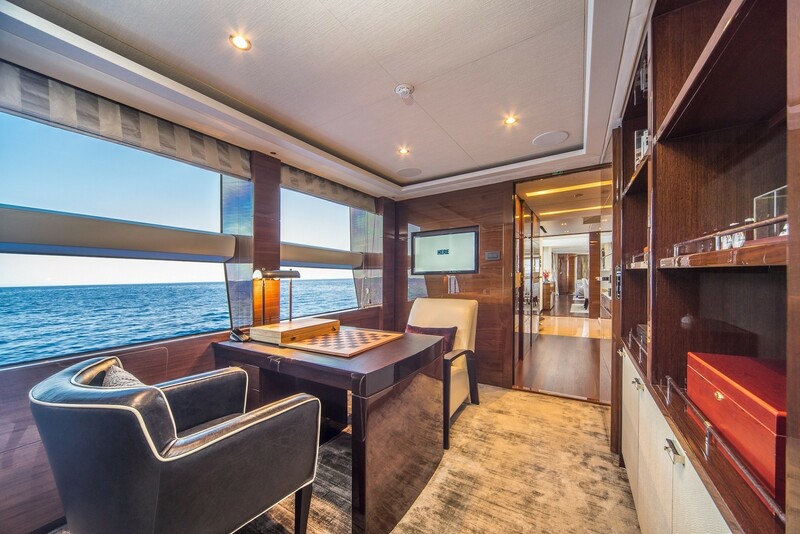 These include a lavish master suite with an office and a spacious deluxe en suite bathroom, 2 VIP staterooms, as well as 2 twin guest cabins. 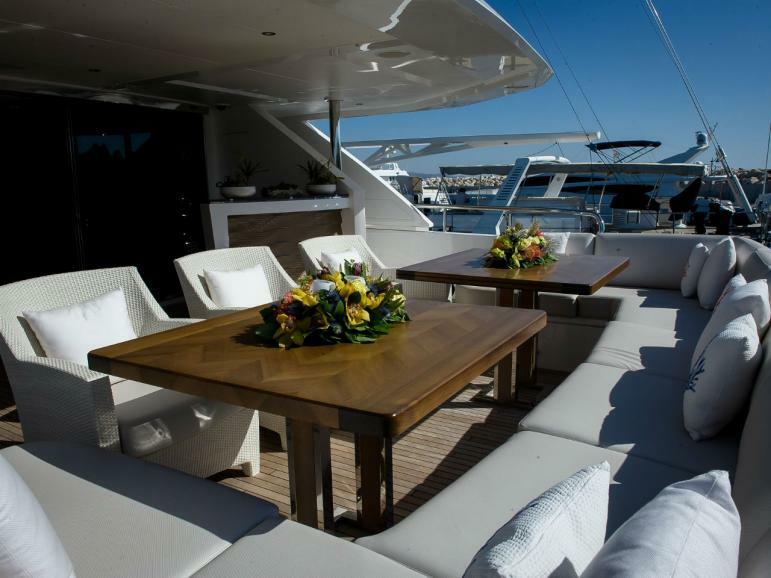 Moreover, guests are pampered by a highly professional crew of 7 members. 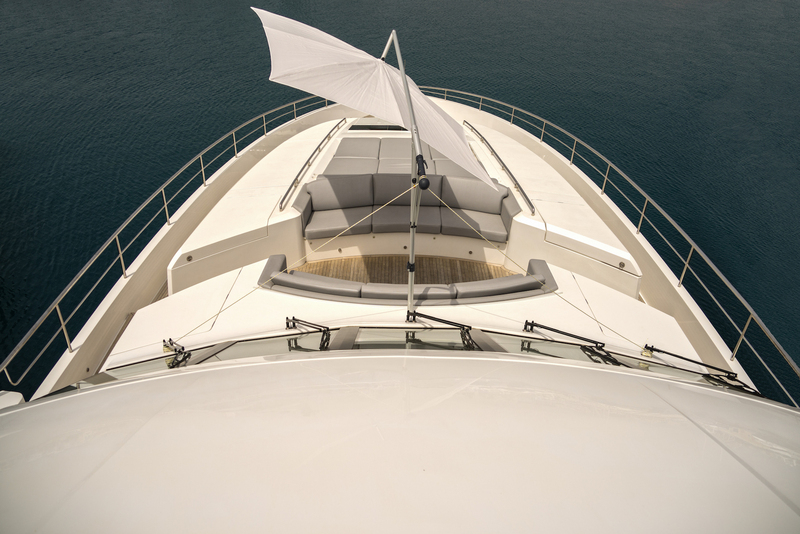 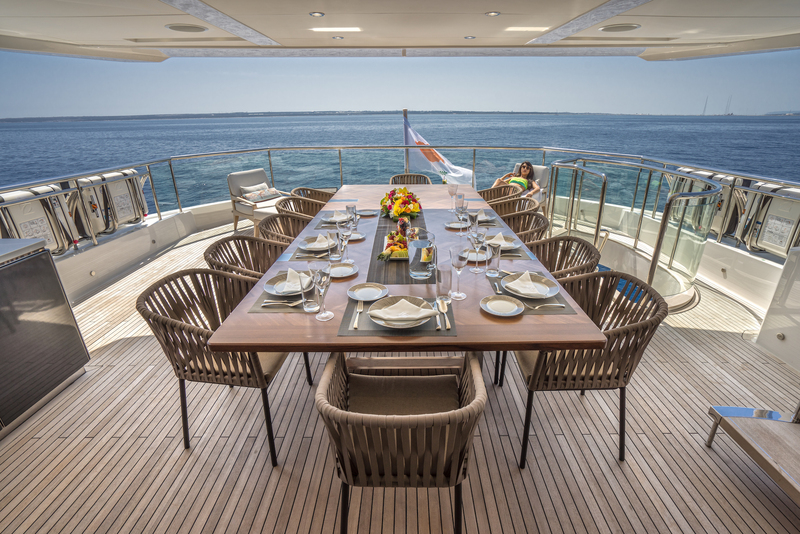 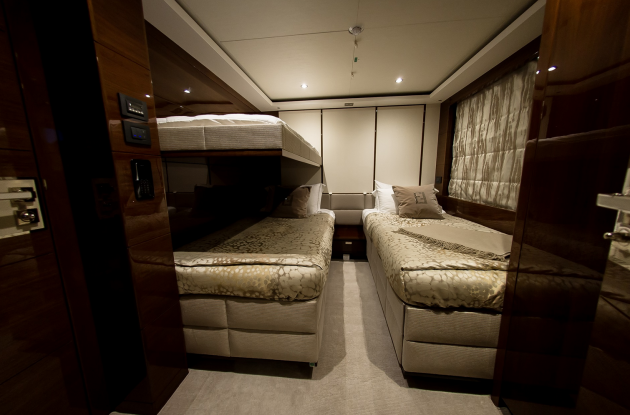 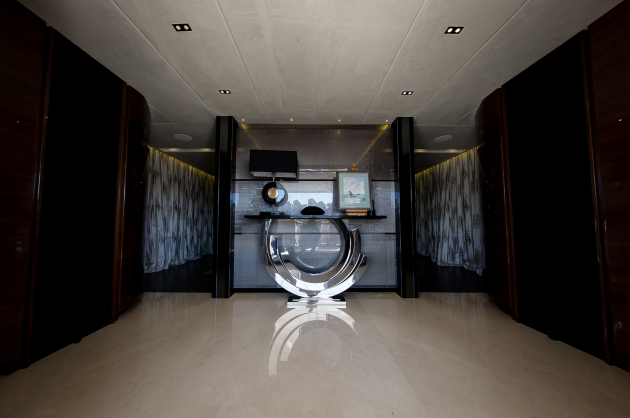 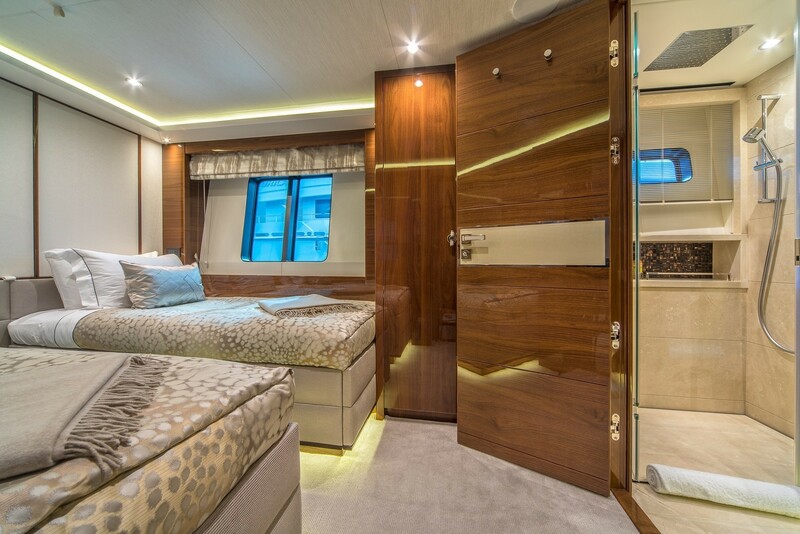 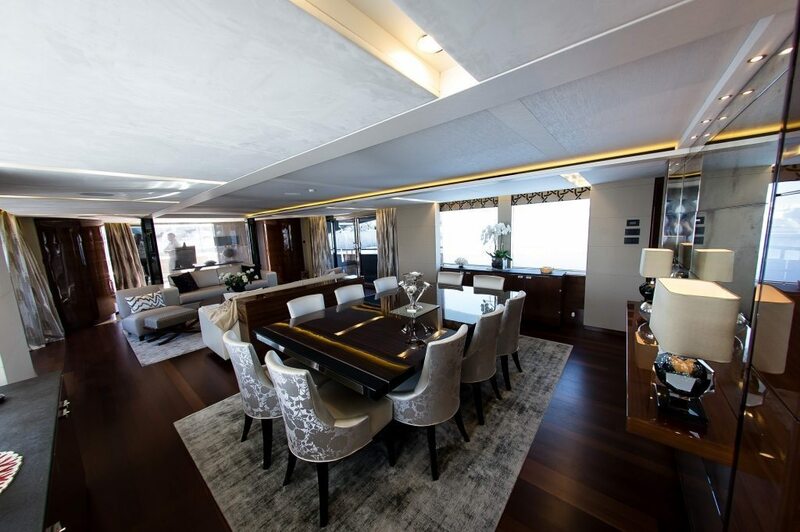 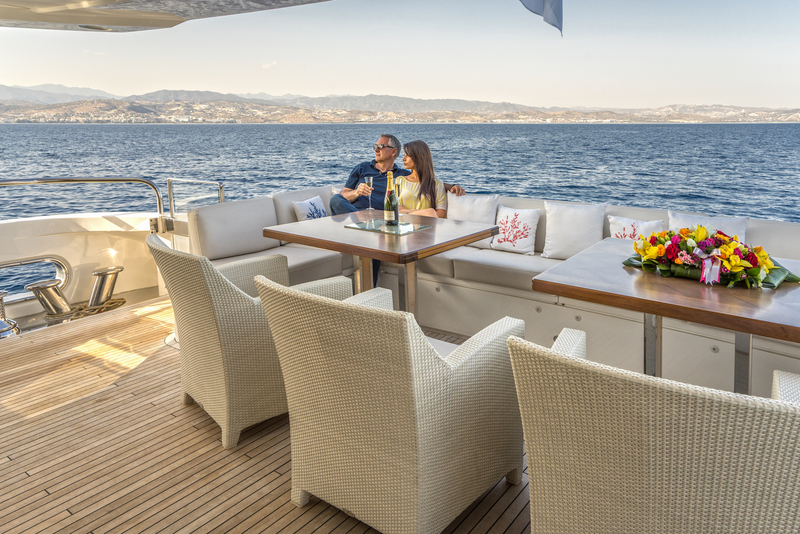 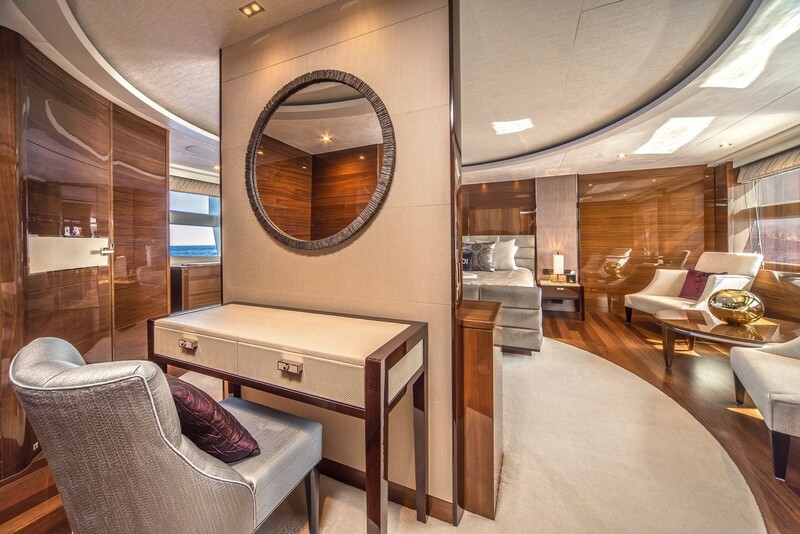 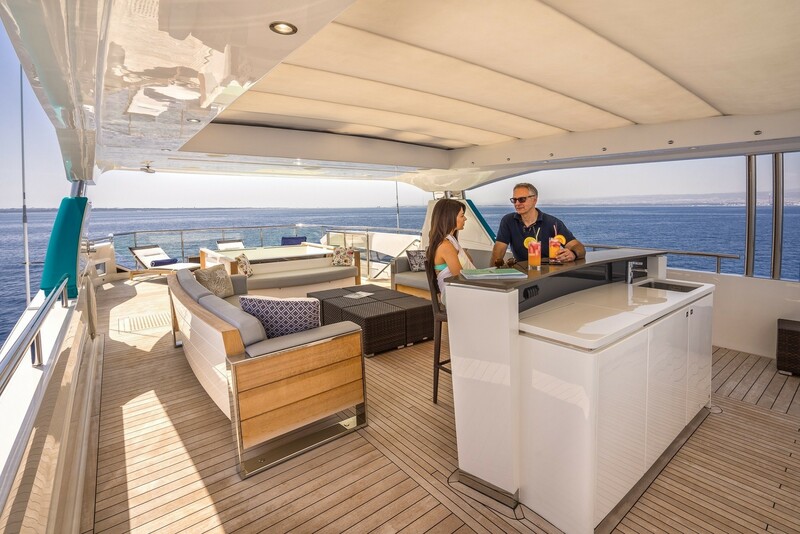 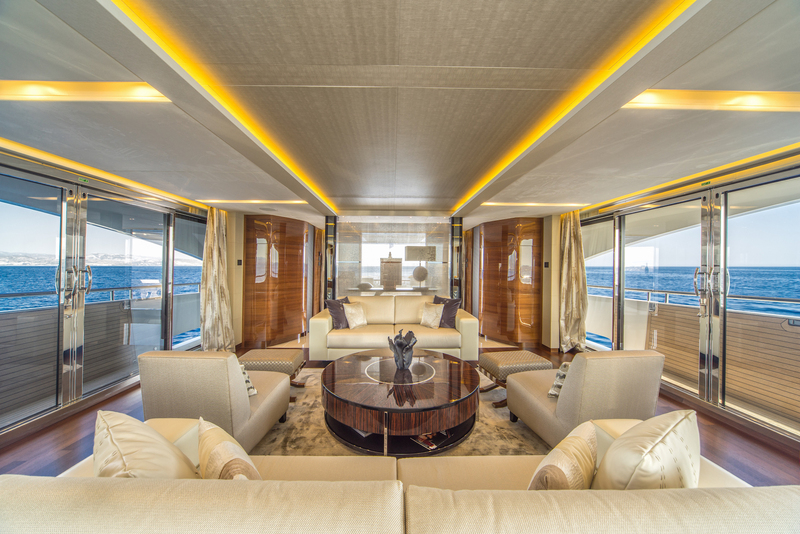 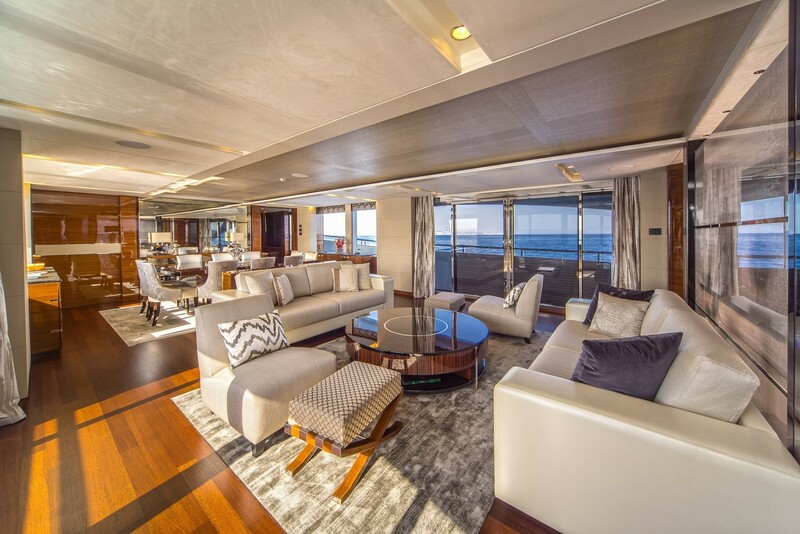 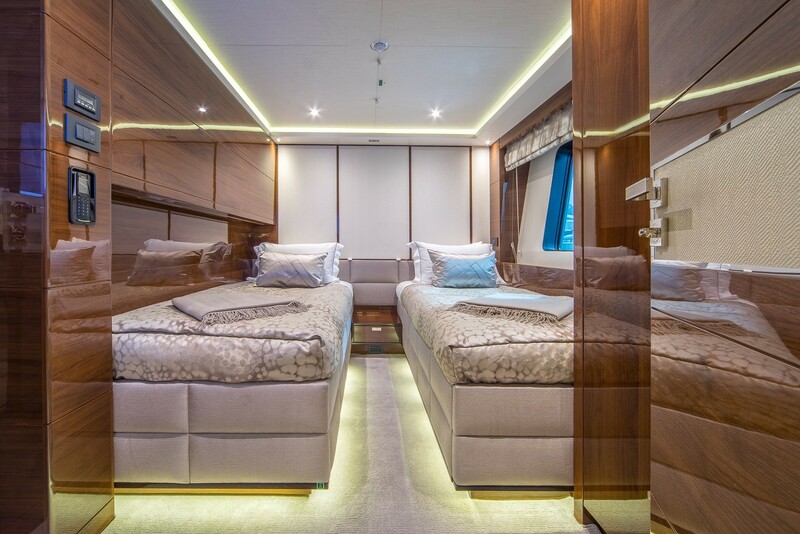 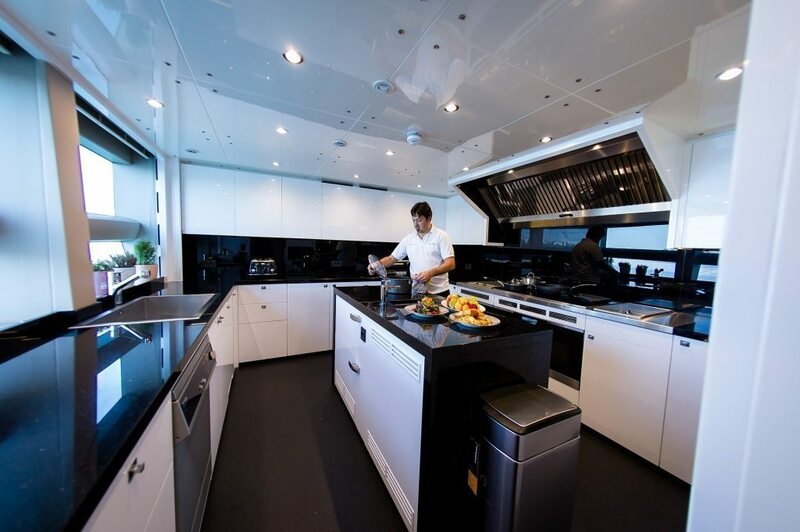 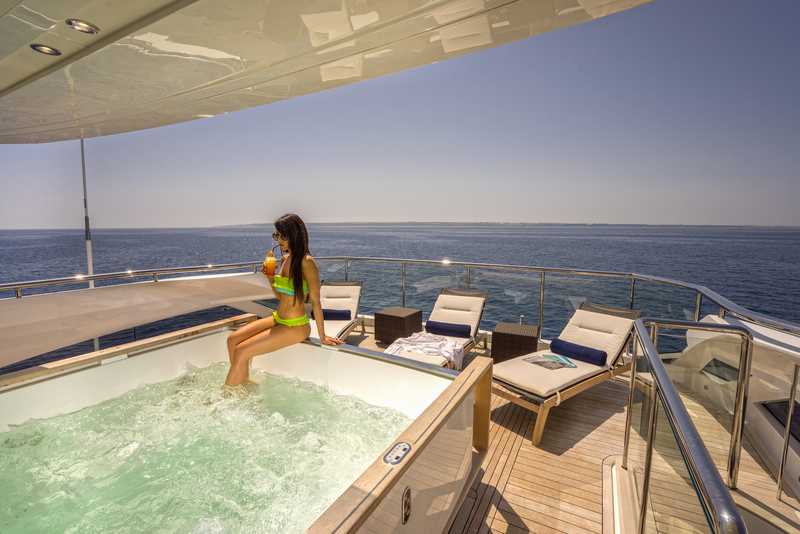 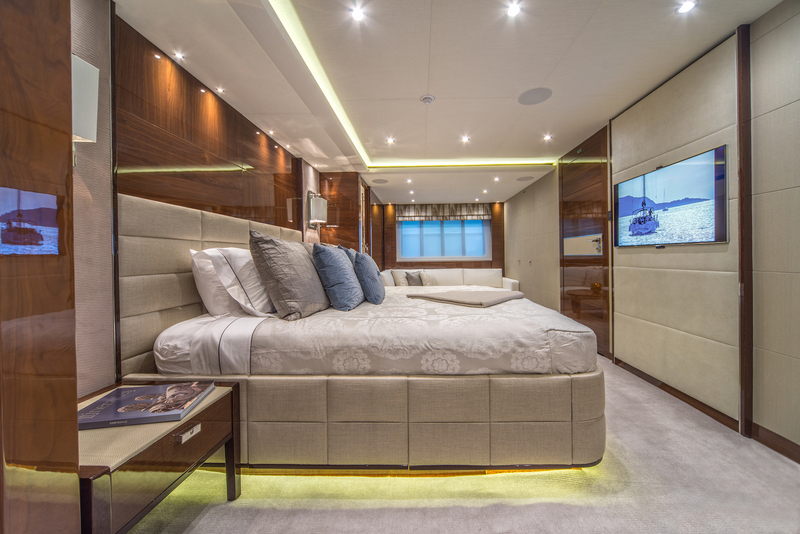 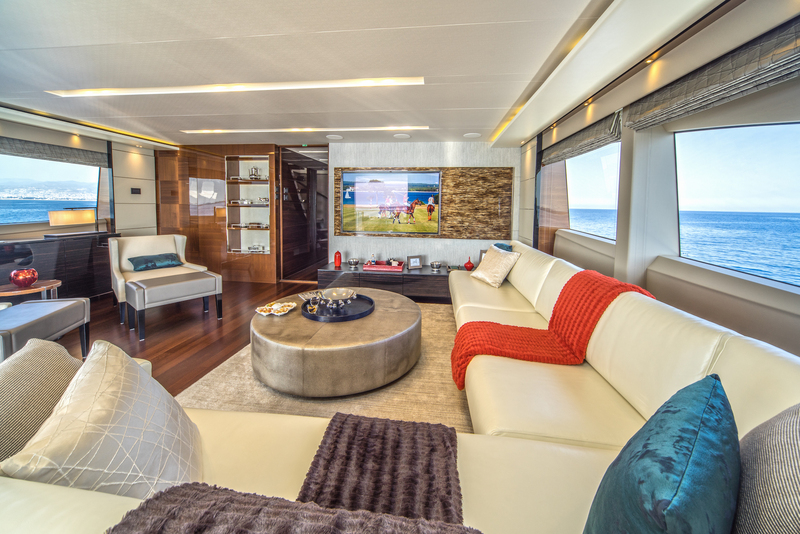 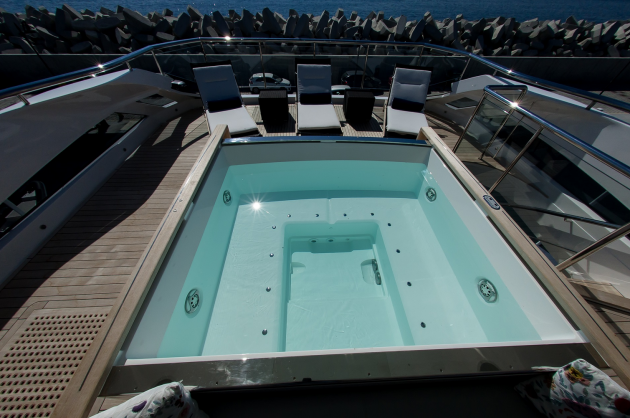 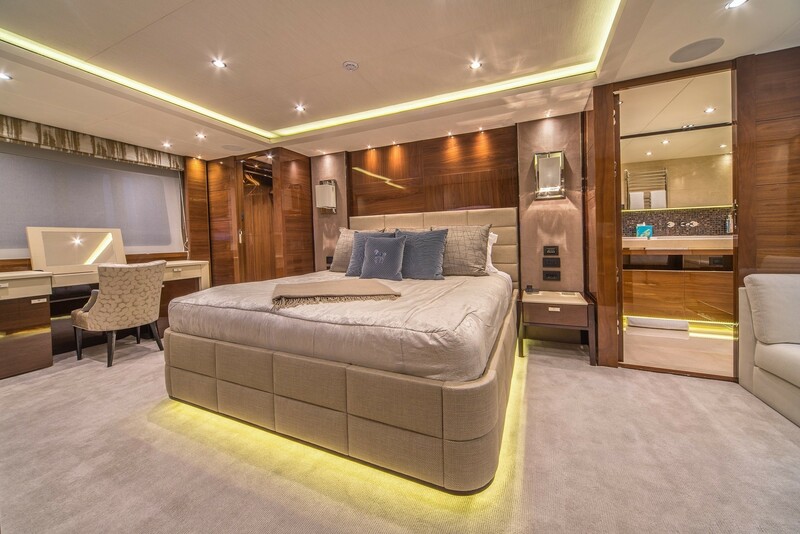 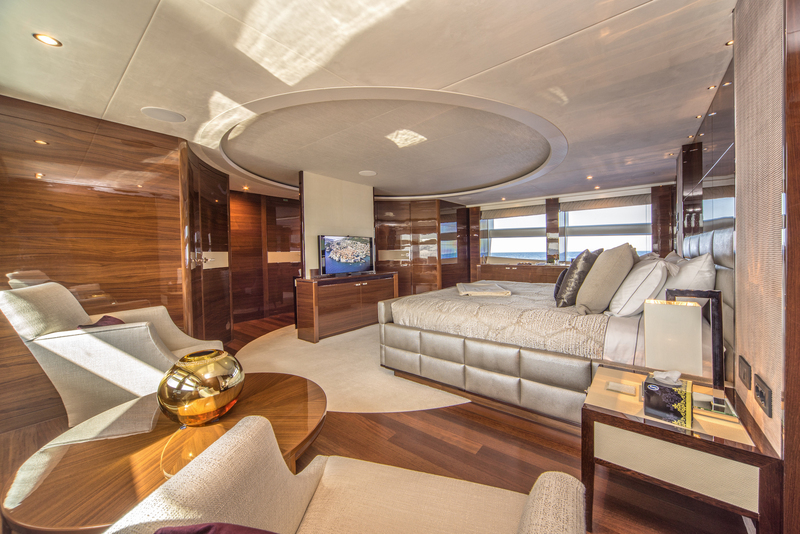 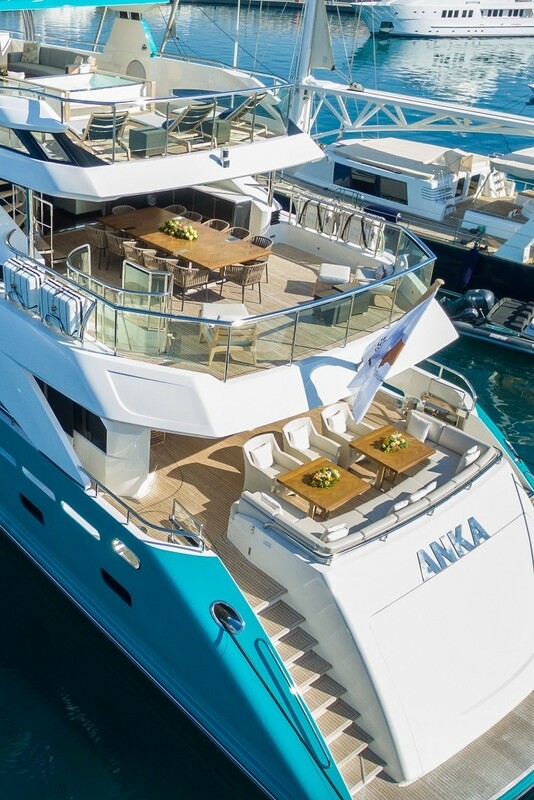 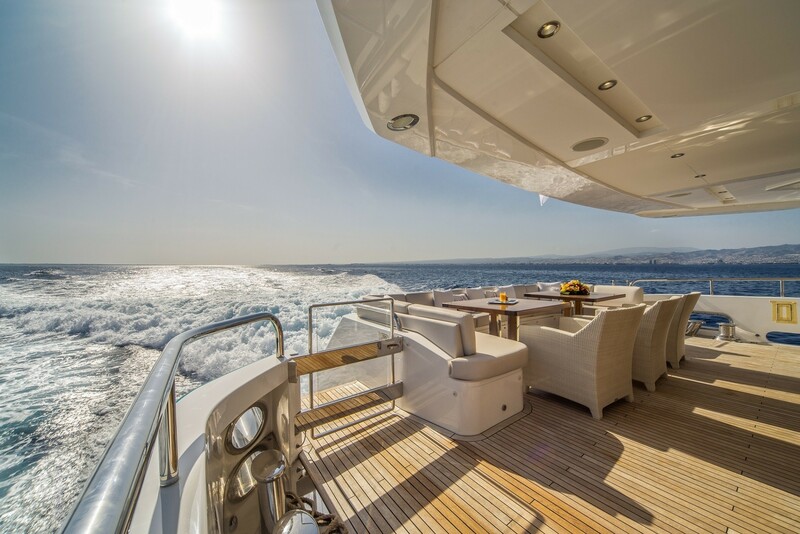 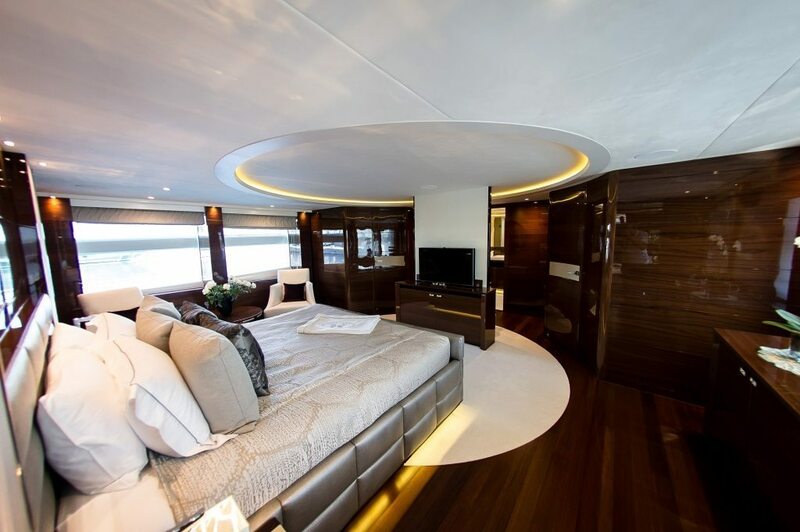 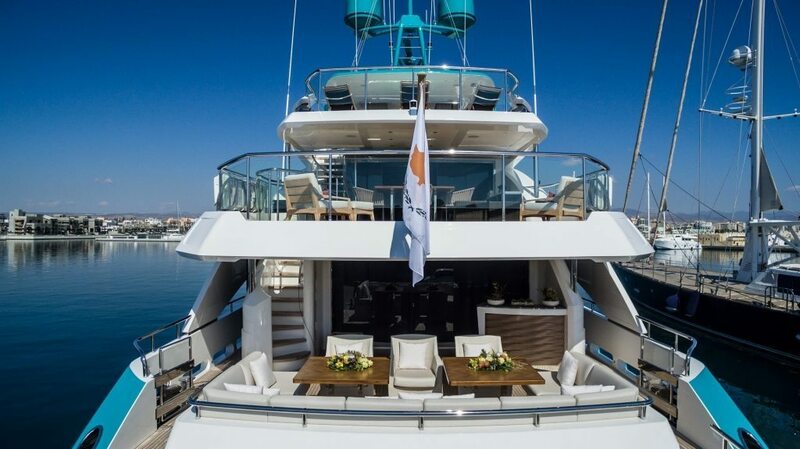 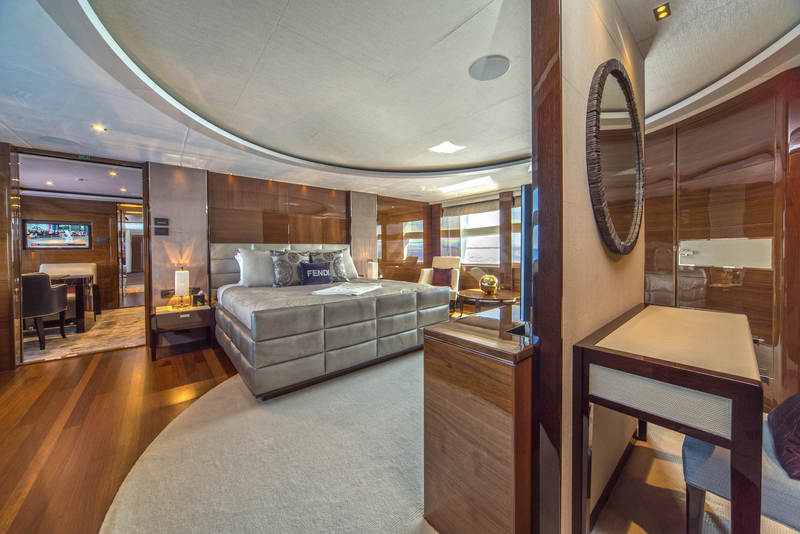 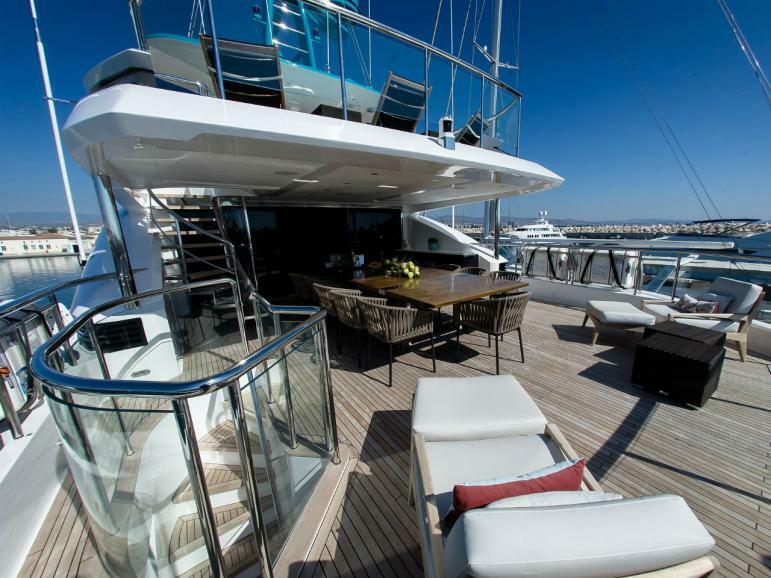 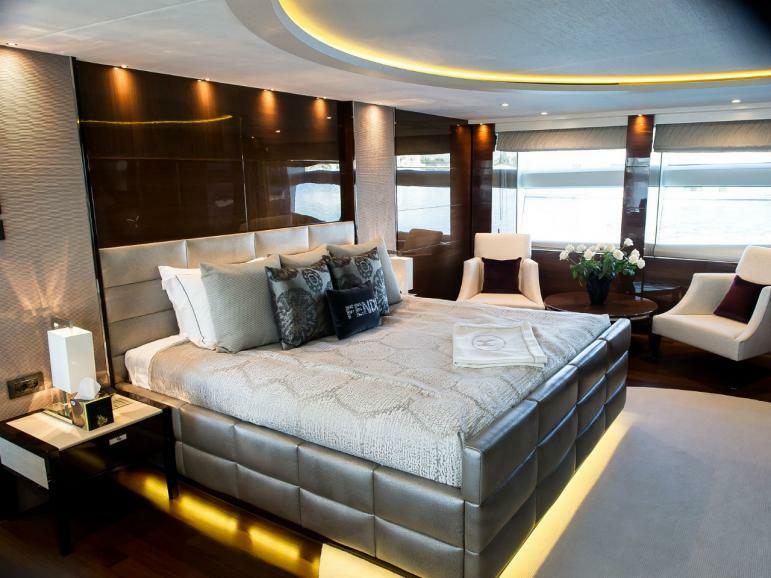 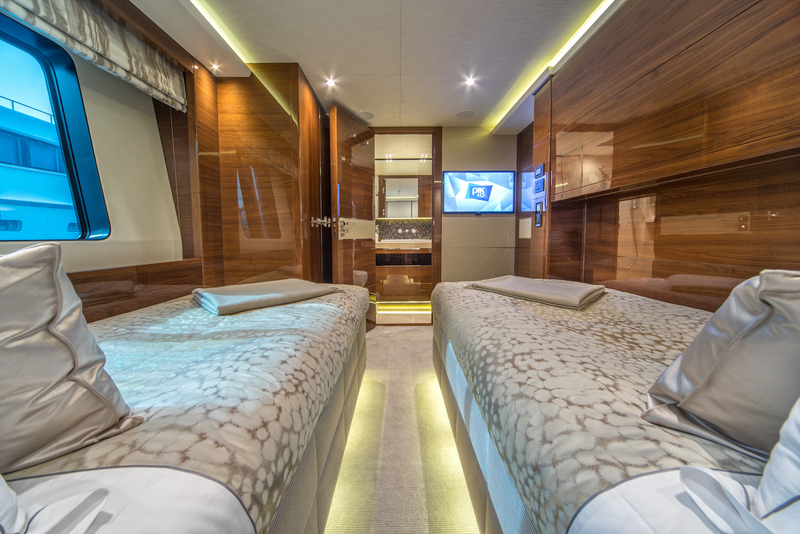 The main deck of ANKA yacht hosts a well-appointed saloon and formal dining area. 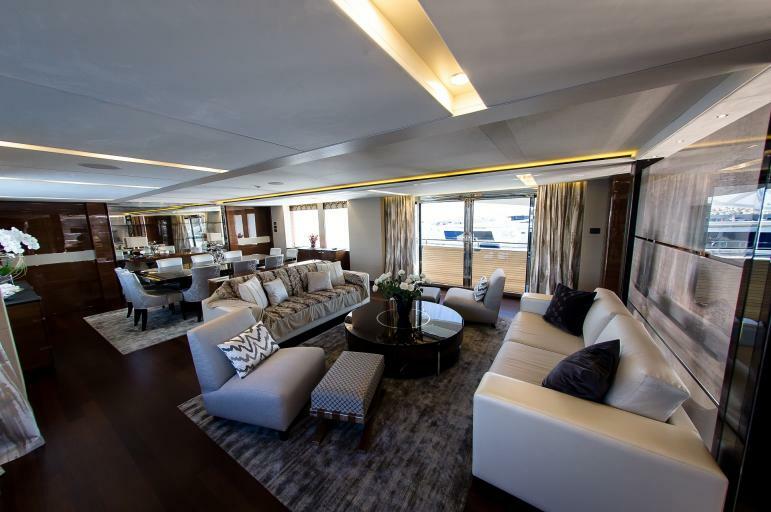 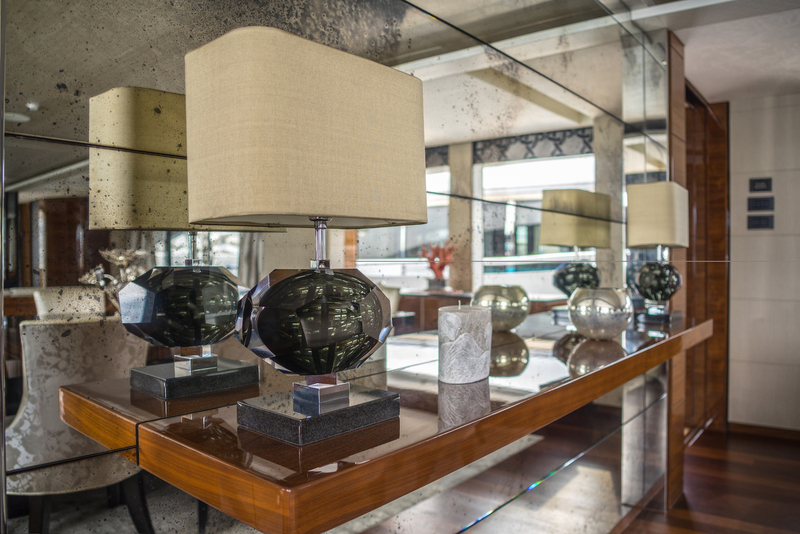 The salon features plenty of seating and lounging possibilities, with sofas and coffee tables - this area is ideal for social gatherings or simply unwind with a book in hand. 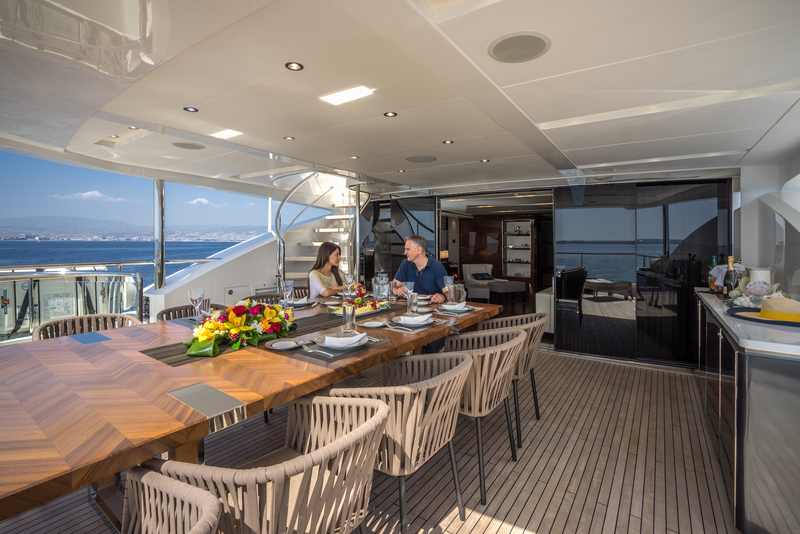 The dining area offers a lovely setting for a more formal dinner or lunch. 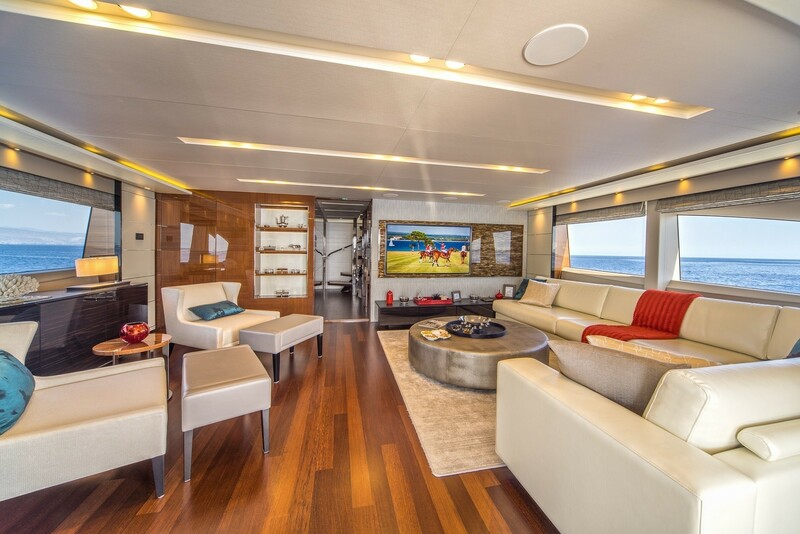 The spacious garage area creates an amazing beach/bathing platform, turning this entire space into a breath-taking beach club. 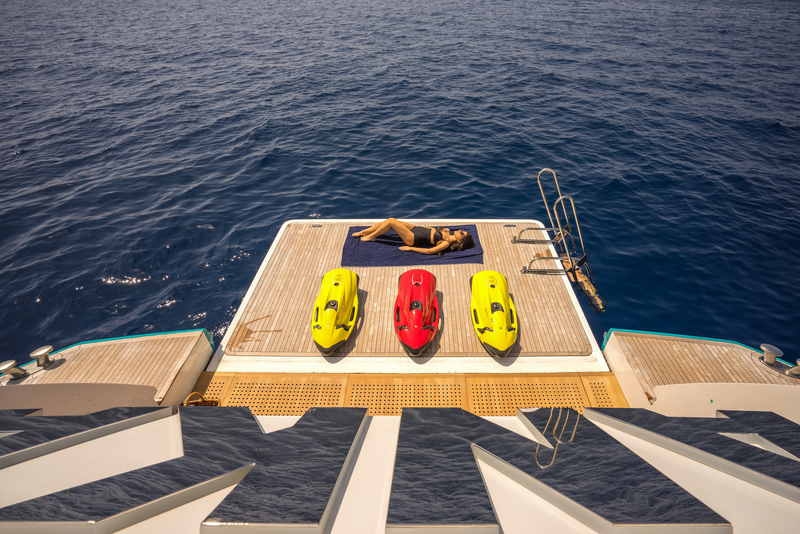 A large selection of water toys is at guests’ disposal to enjoy during their vacation. 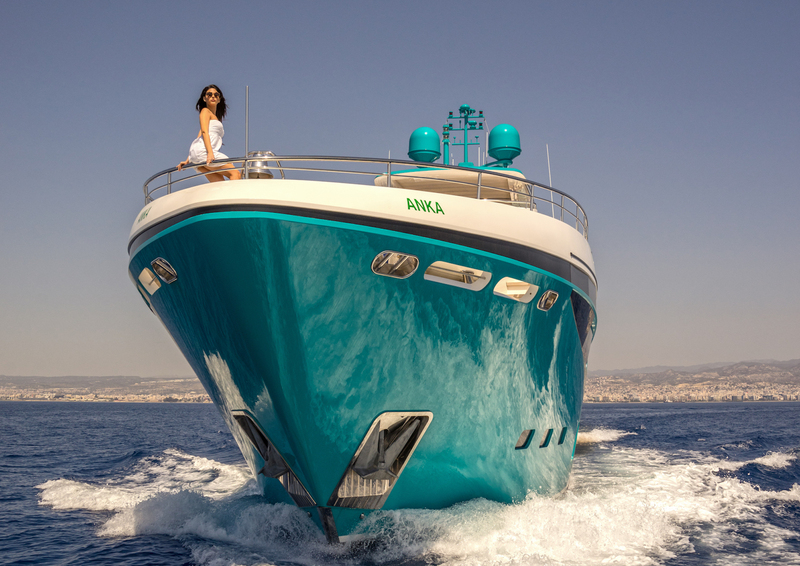 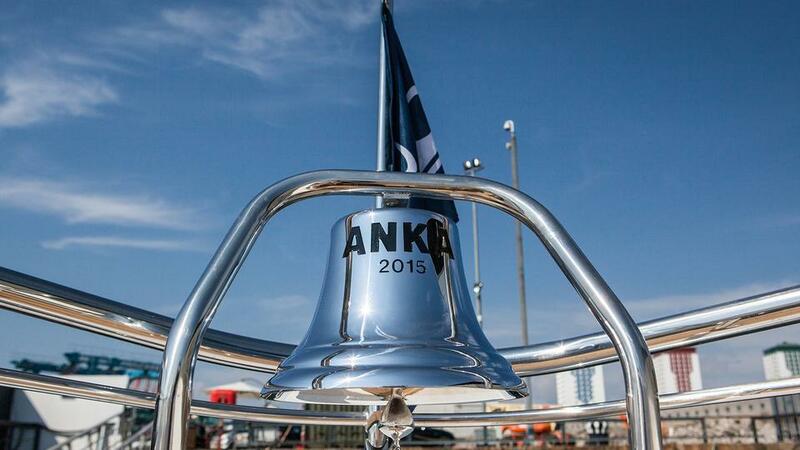 ANKA can reach a top speed of 23 knots and a comfortable cruising speed of 21 knots. 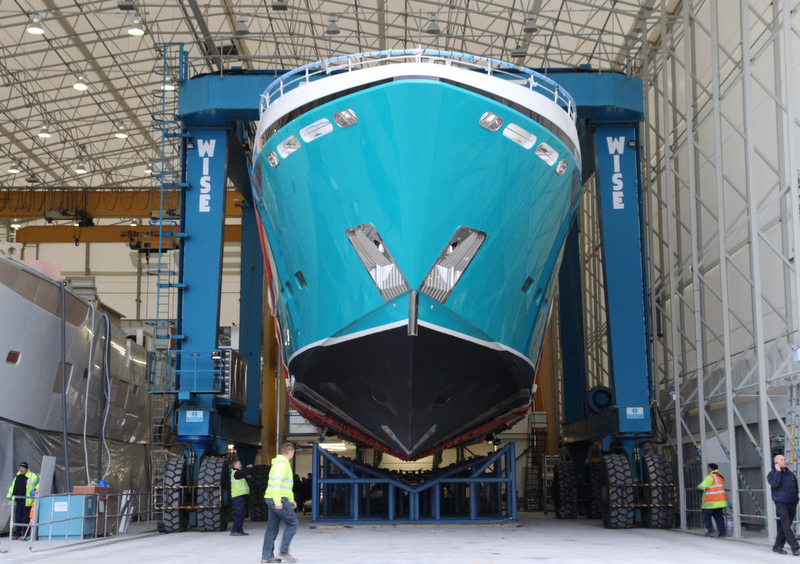 The vessel is also fitted with 'at anchor stabilisers', ensuring maximum comfort at anchor and on rough waters. 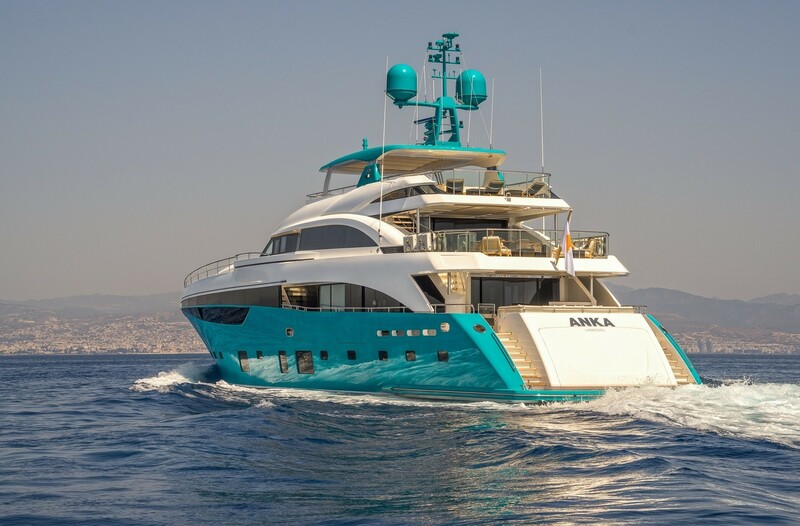 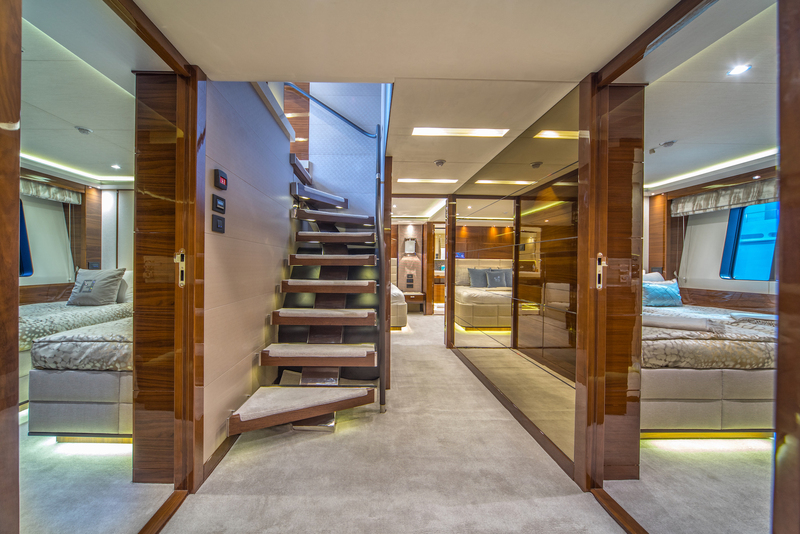 She has been assigned the RINA Comfort Class certificate, given to yachts that provide a higher level of comfort when it comes to noise and vibration, both for crew and the passengers. 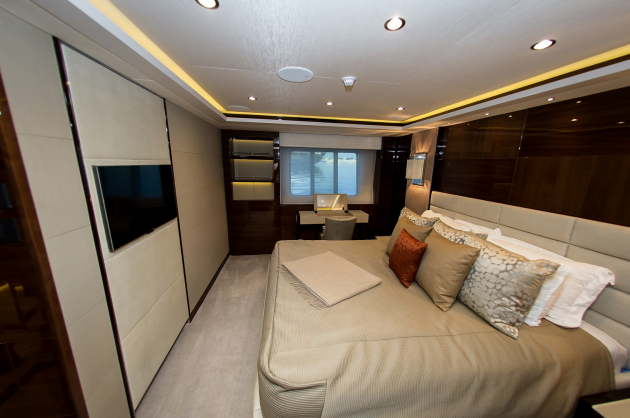 Five staterooms provide comfortable accommodation for up to twelve guests. 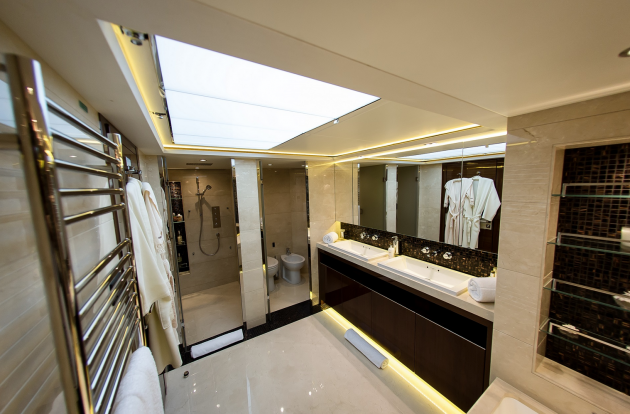 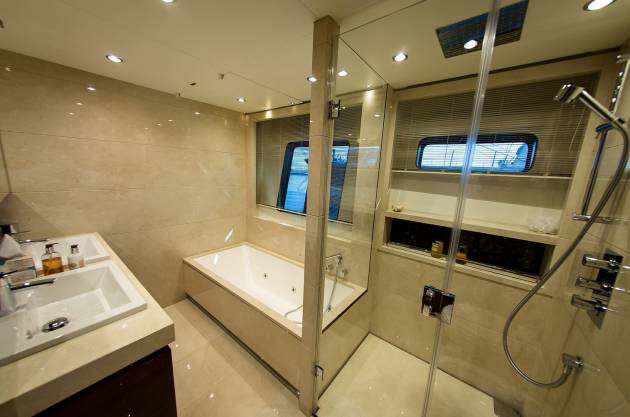 The staterooms include one master suite on the main deck, featuring an en suite bathroom with a bath and a separate shower a vanity, a study with a writing desk and a 32’’ LED TV, a king size bed, 46’’ LED TV, mini bar fridge, dressing area with walk in wardrobes. 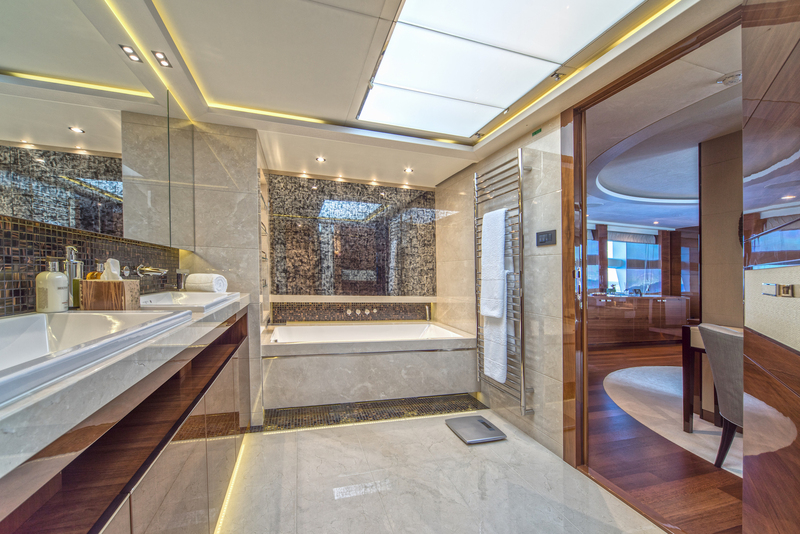 The lower deck hosts the remainder of the staterooms, including one full-beam VIP/Master stateroom with a king size bed, a bath and separate shower, a large L-shaped sofa, 40’ LED TV, telephone with intercom facility, was-in wardrobe; another VIP staterooms forward is fitted with a bath and separate shower, 32’’ LED TV, telephone with intercom; and two convertible twin staterooms with Pullman berths, 26’’ LED TV and an en suite bathroom. 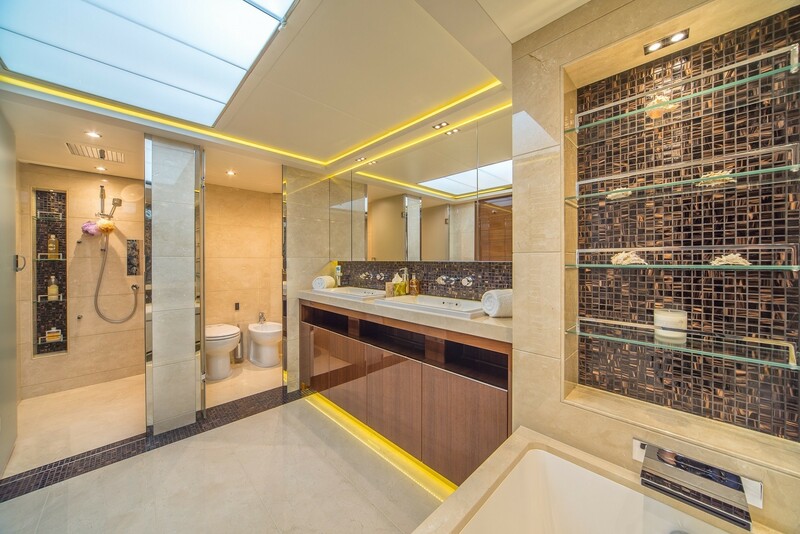 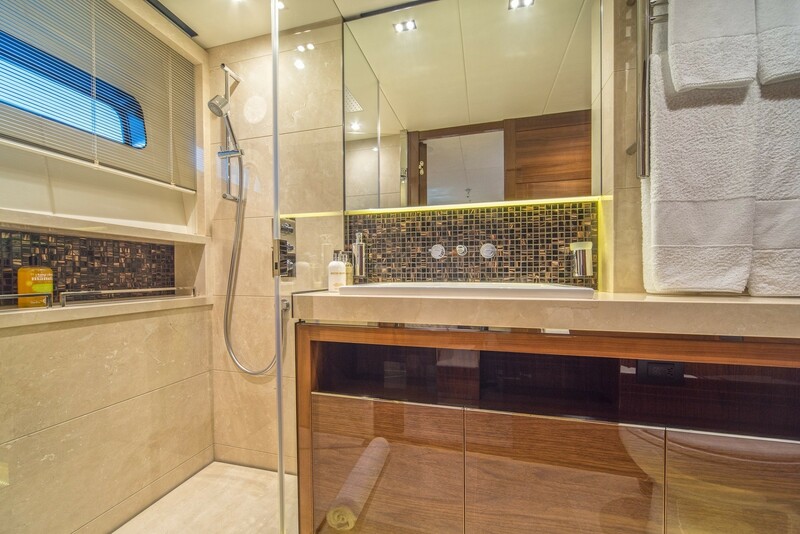 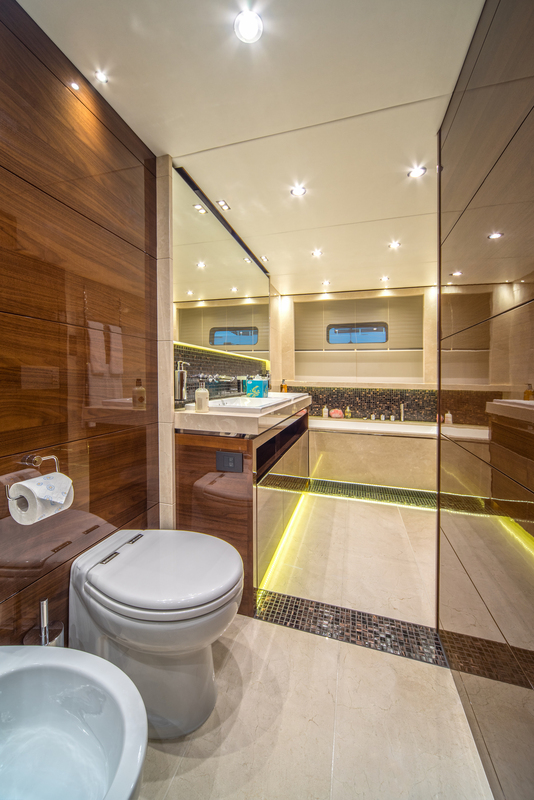 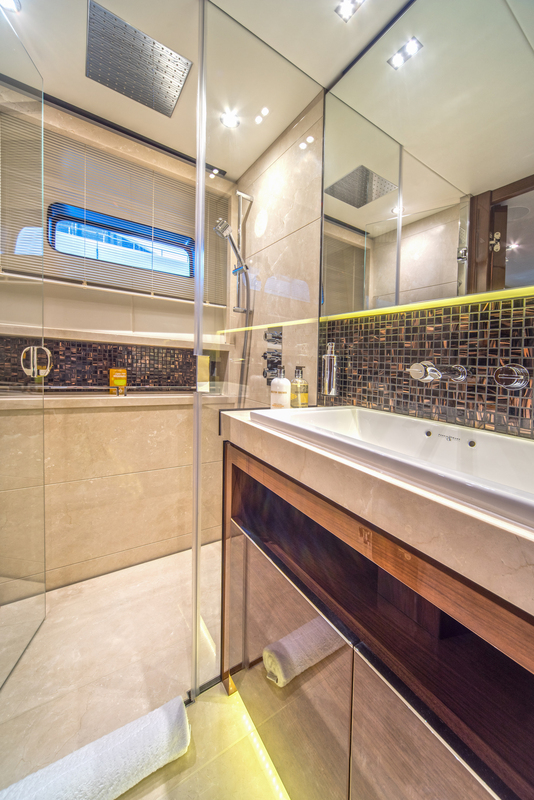 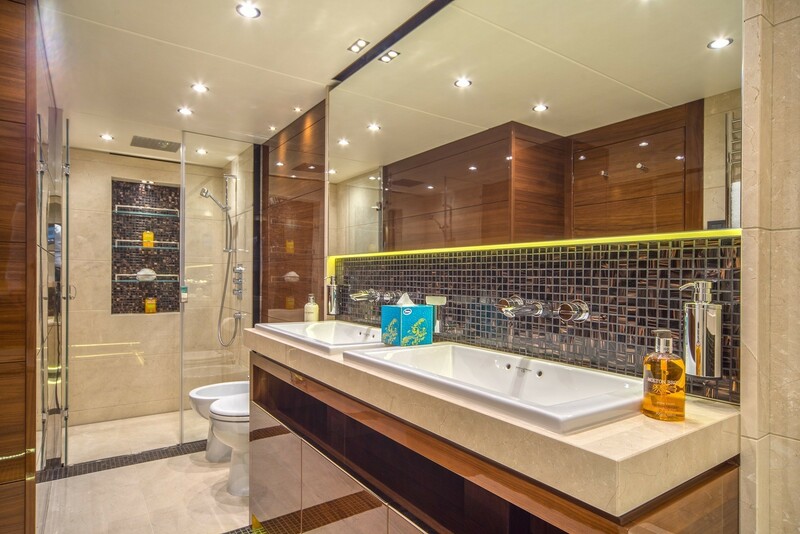 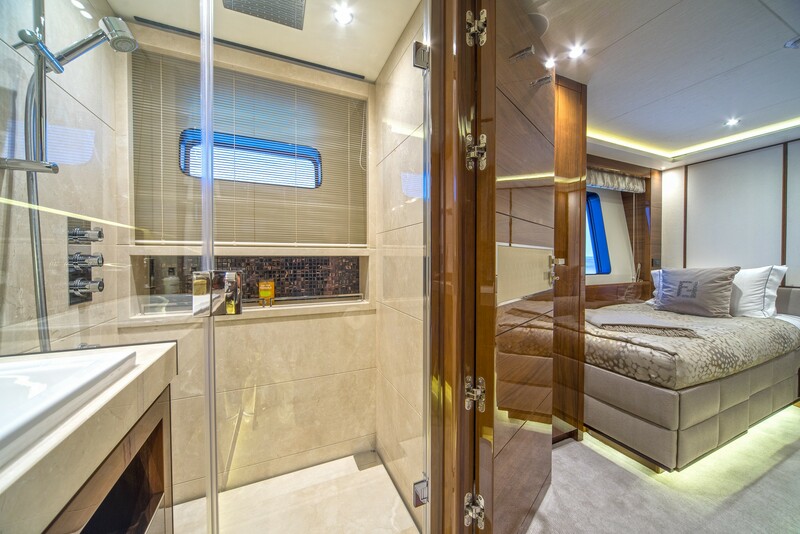 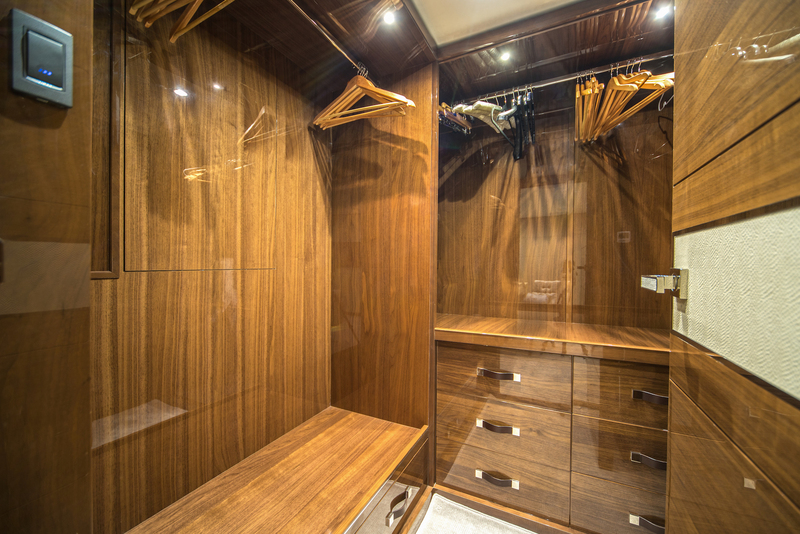 All staterooms have en suite bathrooms with Azarro toiletries. 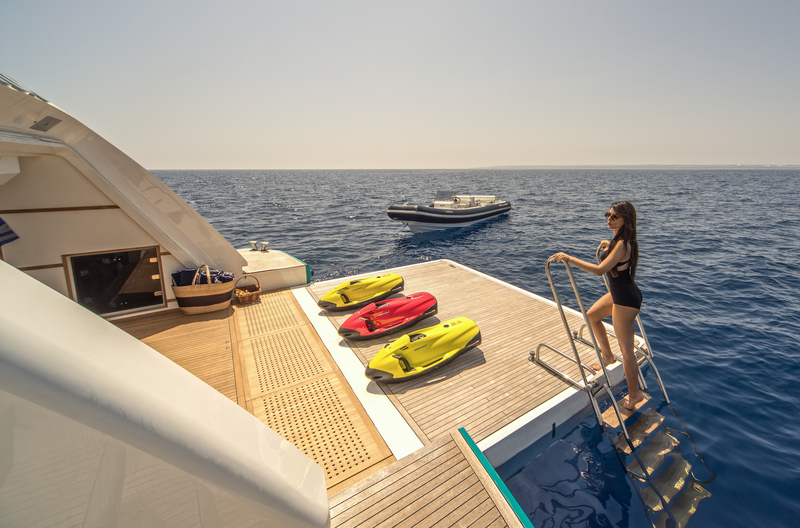 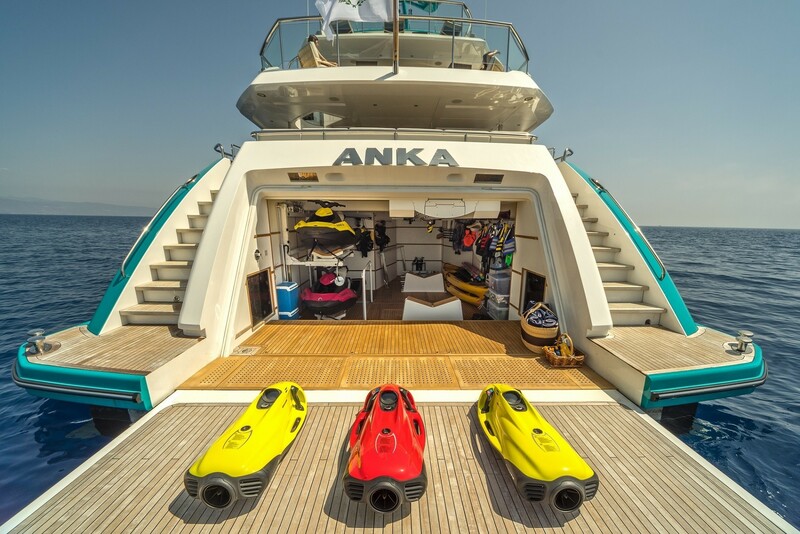 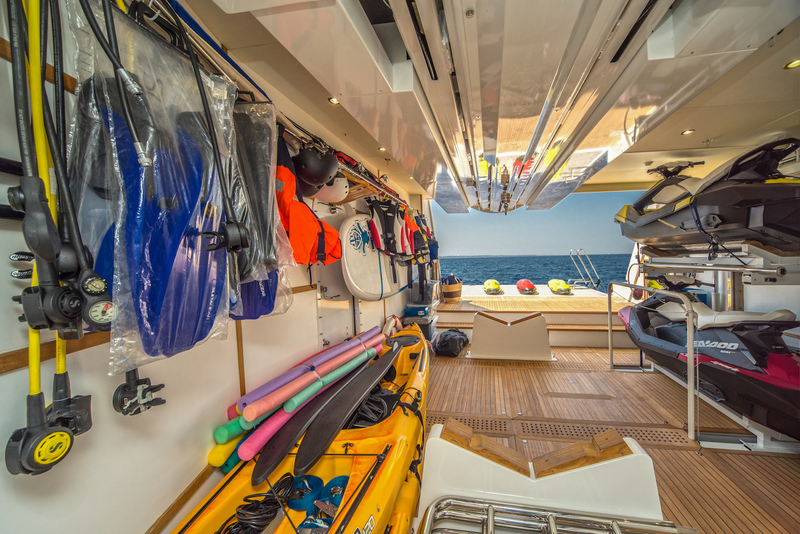 Anka’s water toys selection, tenders and amenities include one Wiliams 625 DieselJet, two Seadoo Sparks jetski, three Seabob F5, two Paddle boards, two Canoes, assorted inflatables, assorted wakeboards and Skis, fishing gears, scuba sets (Rendez-vous diving only) and snorkelling gears. 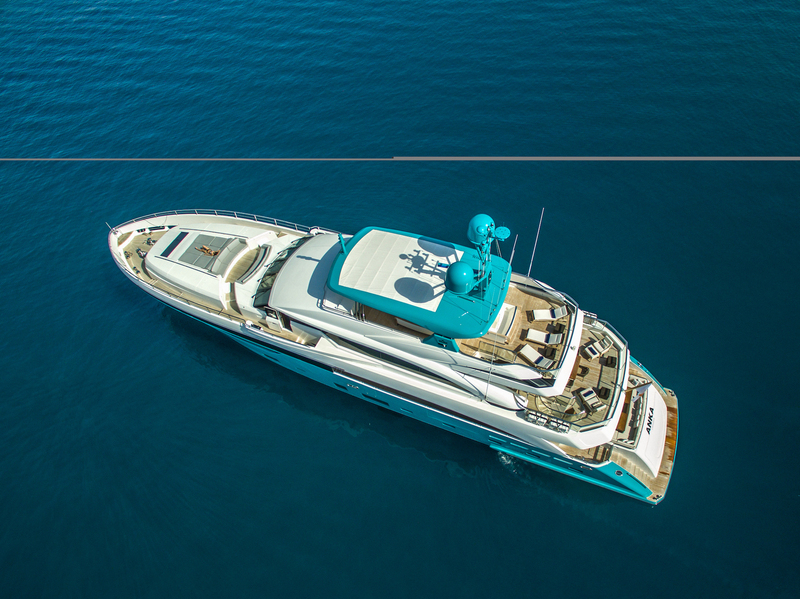 Communication includes Small Vsat and 3G/4G Internet Router.